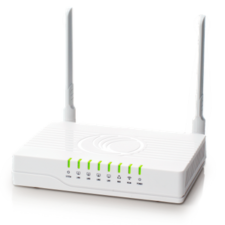 cnPilot Home & Small Business is a suite of 802.11ac and 802.11n wireless home network access points supported by cnMaestro to provide end-to-end lifecycle administration, remote configuration, monitoring, and upgrades. With cnPilot Wi-Fi access points and cnMaestro management, customer satisfaction increases, and network administration and maintenance costs decrease. Single dashboard view and rich stats ensure rapid root cause detection and issue resolution. Offer SSIDs across the network - from home to work to public locations - to enable community access. End-to-end home wifi network lifecycle management for inventory control, device onboarding, daily operations, and maintenance. Notes: The IPV6 capable R190W is ideal for cost-conscious service providers seeking a standard, entry level home router with cutting edge cloud management and robust features. 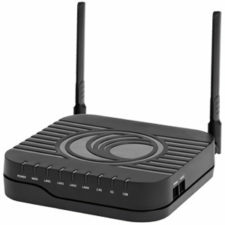 Notes: Cloud managed 802.11ac Dual Band router with ATA for voice. Notes: Cloud manged 802.11ac Dual Band router with ATA voice and PoE out. Notes: Cloud manged 802.11ac Dual Band router with PoE out.